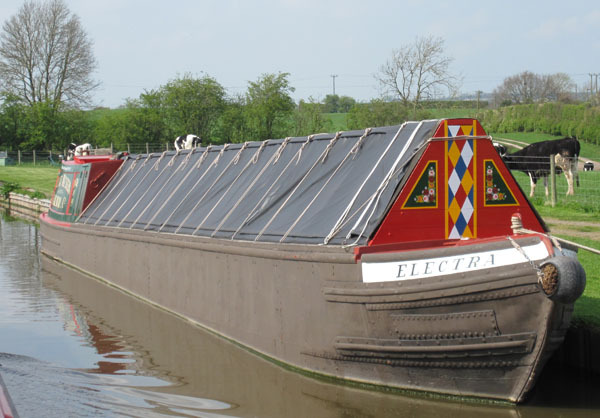 "(The) old Electra was ... working for the Great Western Railway Co. based at Withymoor Basin, where there was a major transhipment centre. 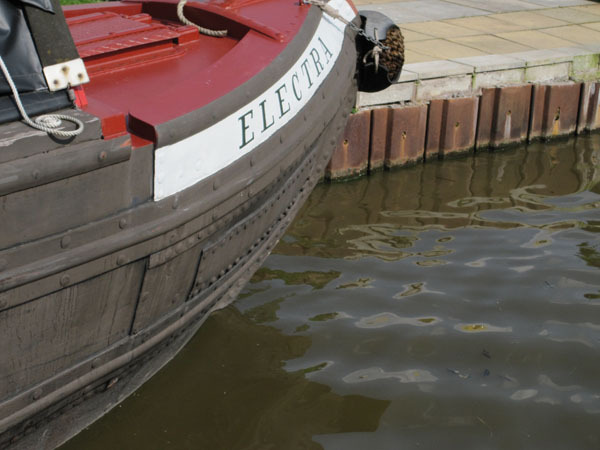 Electra is the name the boat was given by Dudley Canal Trust. She has now undergone a big refurbishment, and is looking as grand today as she did back in 1910. 99 was the last fleet number in use in 1910, there having been 116 vessels in the combined GWR/Bantock fleet in 1895. The bulk of the traffic at Withymoor was that connected with Noah Hingley’s Iron works, although goods from Dolton’s Rowley Pottery and the Hartshill Iron Co. were also handled. Withymoor basin closed in July 1965 and GWR boatages ended in 1969. This boat was a station boat and has been restored back to a working boat which was first new in 1910. When gauged she was the last of the day boats built for the GWR by Thomas Bantock, who were boat builders and also boatage agents for GWR from about 1857. (In 2004 the boat) ... was owned by Dudley Canal Trust and was very different from the boat you see today. The boat was floating, but the general appearance of the craft was of a poor condition. The stern end had been fitted with a pontoon for a mini digger to sit on. British Waterways used the boat before for canal work, maintenance etc. She was moored at Blowers Green junction, Netherton ... The first job that had to be done was to take the boat out of the water, before making a start on rebuilding the stern end. When this major work was completed, the boat was restored to her original seventy foot length. A new cabin was then built on, and a new engine room, with a National engine now fitted. Some work has been done on the engine, along with a Brunton gear box and a raised hand start. In 2009 the boat was moved to Brinklow Boat Services, to help progress the work. Electra needed to be re-bottomed and also have some new footings along with some new knees which were hot-riveted in. Then she was grit blasted inside and out before re-painting. All the woodwork on the boat has been redone, and a full working stove is being installed along with other items that would be found in a long distance boat. The hold has now been sheeted up so the boat looks like a traditional working craft. 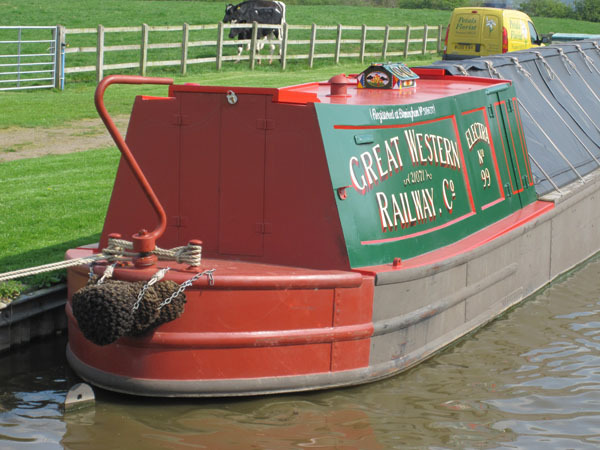 The reconstruction of the boat has taken from 2004 - 2009 and she is afloat on the Shropshire Union canal today."